A Little Bit etc. : New Highlight, Sculpt and Blush Powders from Make Up For Ever - Amazing Colors For Summer! 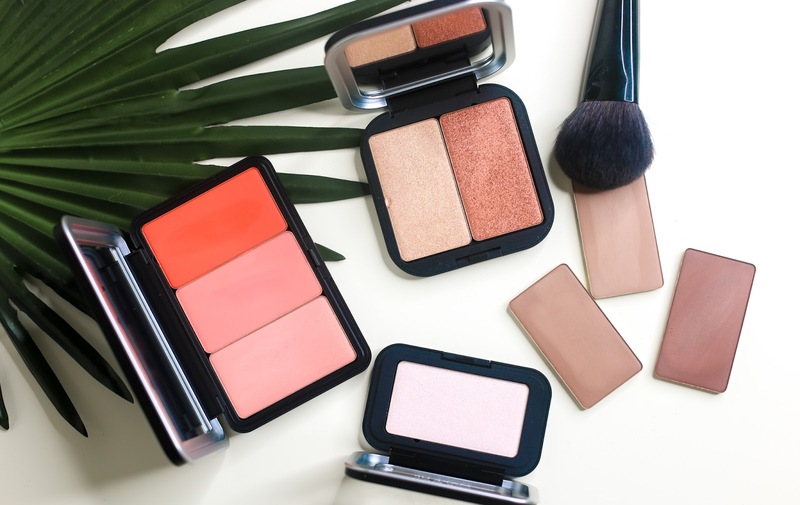 New Highlight, Sculpt and Blush Powders from Make Up For Ever - Amazing Colors For Summer! If there is ever a time to experiment with a brighter than normal cheek color or a glistening highlight, it's summertime! Make Up For Ever just launched a ton of new highlight, contour/sculpt and blush powders and while there is a color for every season, there is definitely a ton of great shades for the warmer weather. Since MUFE is known for it's intense pigmentation, the shades do not disappoint. I had a selection of colors sent to me and all of them were summer perfection. There were 3 highlight shades (far left on my arm), 3 blush shades (peach/orange blush lovers like myself will go crazy for these) and 3 contour powders which each had just a hint of radiance so as not to fall too flat when on the skin. 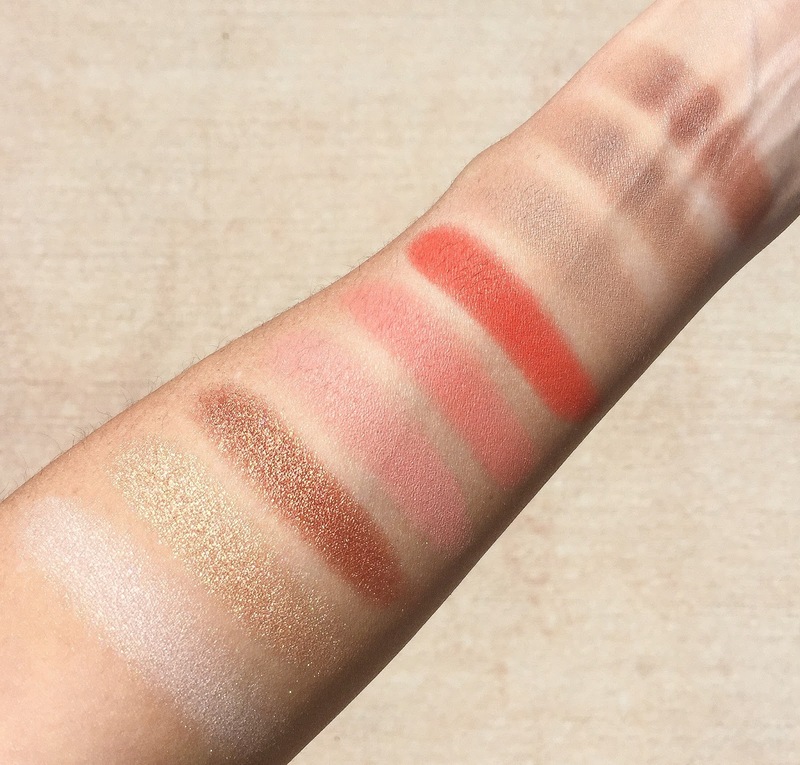 While I don't think it's necessary to collect every single shade, I would recommend grabbing a blush shade first because I enjoyed those the most. The texture is soft and blends effortlessly. The highlighters are beautiful but give a very strong shine so it may not be for everyday wear. The contour powders were actually the most impressive to me but I don't contour regularly so I would not get as much use out of these on a daily basis. However, if you do like to contour, the undertone is not too orange and they apply quite sheer at first but can be built up very easily.